Following last week’s dust-up involving sensitive white-supremacist snowflakes complaining that Star Wars wasn’t doing enough to cater to them, Disney CEO Bob Iger has stepped forward to proclaim that Rogue One: A Star Wars Story is an apolitical film, and that any perceived metaphors in the story of a gang of diverse rebels standing up to a totalitarian empire led by white men in Nazi-inspired uniforms are nothing more than Jedi mind tricks. 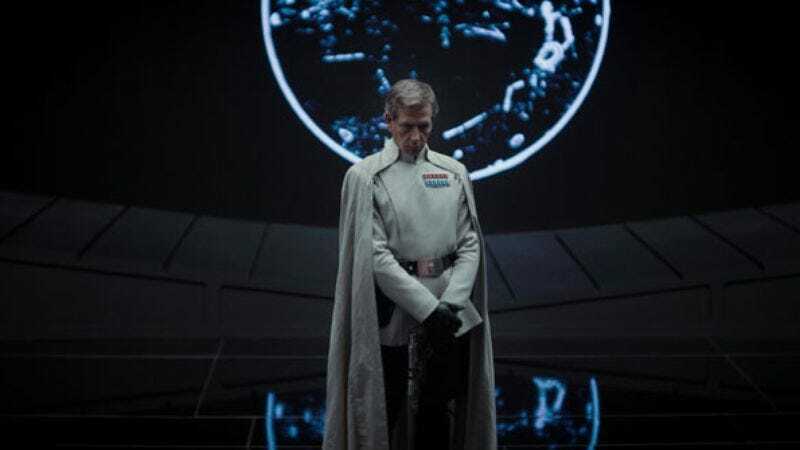 The furor began with a tweet—as so many news stories do these days—from Rogue One writer Chris Weitz, who pointed out that “the Empire is a white supremacist (human) organization” as part of a series of anti-Trump tweets.That led to rumors that the film was reshot to include anti-Trump scenes, which makes no sense due to the practical realities of filmmaking on such a massive scale (and because Jabba the Hutt doesn’t come in until the film’s de facto sequel, 1977’s Star Wars.) Regardless, this is a crowd that doesn’t put much stock in reality, and thus the #DumpStarWars hashtag/boycott was born. Then, in a story published this morning after the film’s premiere in Los Angeles over the weekend, The Hollywood Reporter quoted Iger as saying, “I think the whole story has been overblown and, quite frankly, it’s silly … It is not a film that is, in any way, a political film. There are no political statements in it, at all.” He went on to praise the film’s cast, saying, “[Rogue One] has one of the greatest and most diverse casts of any film we have ever made and we are very proud of that, and that is not a political statement, at all.” And, given the changing demographics of moviegoers worldwide—including the ever-increasing importance of the Chinese market—for Iger and Disney, diverse casting could be simply a smart business deal with a convenient side of cultural relevancy. And we all know how the Trump crowd loves deals—right?